An increase in veterinary drug service fees proposed by Health Canada could lead to higher prices for some animal medications and the elimination of others, according to a report from research organization Agri-Food Economic Systems. The report, which was commissioned by the Canadian Animal Health Institute (CAHI), states the suggested increases would range between 169 to 500 percent by April 2019 and would affect more than half of the veterinary drugs for livestock and companion animals, leading to potential medication shortages in Canada, as well as a decreased competitive edge for the country’s food animal industries. While Health Canada suggests the proposed fees make the country more consistent with those applied in the U.S., the European Union, and Australia, CAHI’s report counters that Canada’s livestock population is not as large as that of those regions, which leads to a smaller animal health market from which to recover service fees. 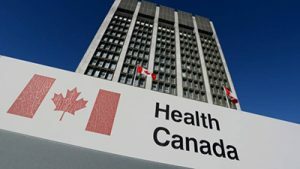 Health Canada first announced the proposed changes last October and asked industry members to comment and issue feedback. CAHI prepared a response on behalf of its members at this time, which voiced concerns over the announcement and suggested an alternative fee structure for the Canadian veterinary drug market. To access the CAHI report, click here.